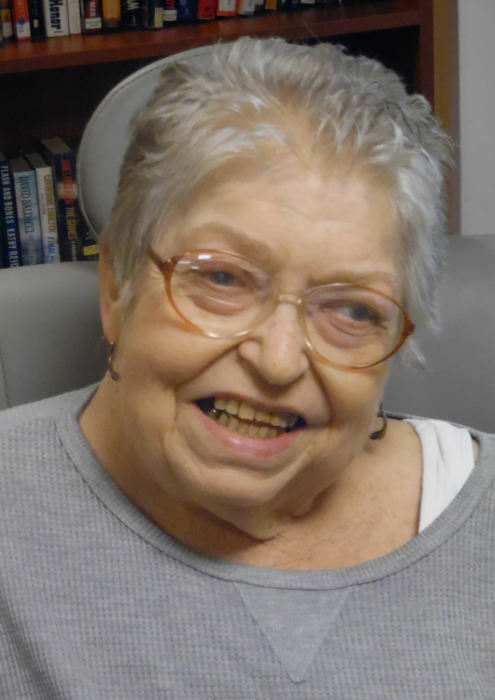 Charlene “Charlie” Leoda Fullmer 78, Prairie du Chien, WI passed away on July 17, 2018 at Mercy Medical Center in Dubuque. According to her wishes, no public visitation or services will be held. A private interment will take place in Dubuque, IA at a later date at Linwood Cemetery. A Celebration of Life party is being planned for a later date in Prairie du Chien, WI. Charlene Leoda Manwill was born on February 15, 1940 the daughter of Grant Rex and Ardys (Brown) Manwill in Concord, CA. She married a young Airman, Earl “Butch” Lossar Fullmer on June 19,1956 in Reno, NV. Together Charlie and Butch owned and operated The Family Kitchen, Butch’s Kitchen/Butch’s Steak House and Lounge in Charles City, IA, The Lynxville Fishing Float in Lynxville, WI and The Red Cedar Inn in McGregor, IA. After Red Cedar, Charlie retired from Cabelas in Prairie du Chien, WI. Charlie was an avid reader. She was very active in Boy scouts and Girl scouts with her children. Charlie was a quilter and produced meticulous and beautiful works of art with several winning Wisconsin State wide awards. She enjoyed trivia, crossword puzzles and Scrabble. She was also a master canner who kept family and friends supplied with her goods for many years. She was a member of the Church of Latter Day Saints, Prairie du Chien, WI. Survived by her children; Butchie “Earl” (Diana) Fullmer, Lansing, IA, Cindy (David) Hillson, N. Carolina, Tracy Fullmer, Dubuque, IA. Eight grandchildren. Brother Monte Manwill, and a niece Ardys (Ben) Fleetwood, Pace, Fl. She was preceded in death by husband Butch Fullmer, and her parents Grant and Ardys Manwill. The family wishes to extend a thank you to the doctors and staff at Crossing Rivers Medical Center, Prairie du Chien, WI. and the staff at Mercy Medical Center Dubuque, IA. Very special thanks to Prairie Masion Nursing Home, Prairie du Chien, WI for the years of care and love. Thank you to Mike Garrity and the folks of Leonard Funeral Home in Dubuque for guiding the family through the process. The Leonard Funeral Home, 2595 Rockdale Rd, Dubuque, IA is assisting the family.